The Ranch Bar & Grill at the Budweiser Events Center is a great place to relax and enjoy a wonderful culinary experience along with a breathtaking view of the Rocky Mountains. 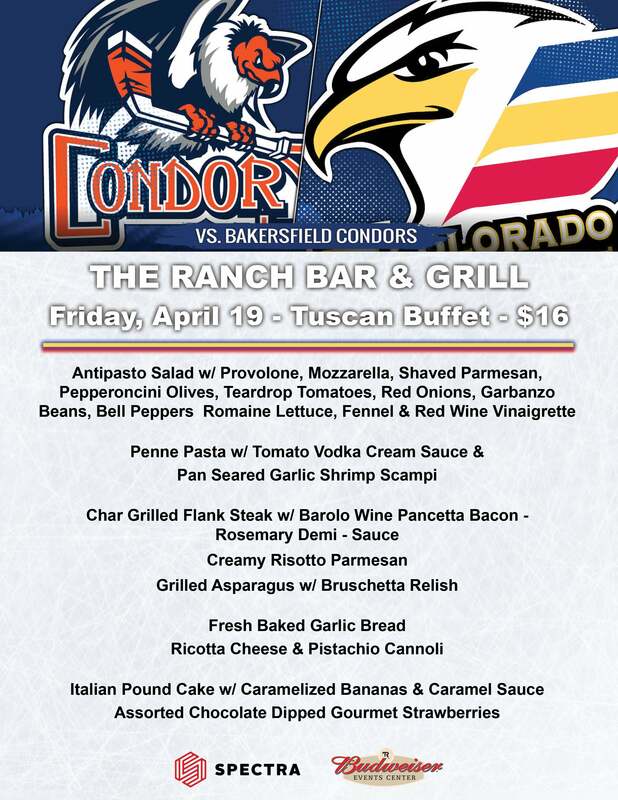 Located on the 4th Floor Suite Level, The Ranch Bar & Grill is open 90 minutes before the start of each Colorado Eagles game and is subject to change for special events and concerts. It is available to all guests who attend an event at the Budweiser Events Center. Walk-ins are always welcome, but reservations are highly recommended and can be made by calling (970) 619-4053. An array of unique menu items highlighting both local and regional favorites are readily available. Spectra Food Services and Hospitality's talented catering staff and restaurant manager, as well as the executive chef, are renowned for the capacity to create any theme, unique decor or style of cuisine. To complement this culinary adventure, The Ranch Bar & Grill features a full-service bar, which serves high-quality spirits, a variety of bottled and draft beers, and an assortment of fine wines. 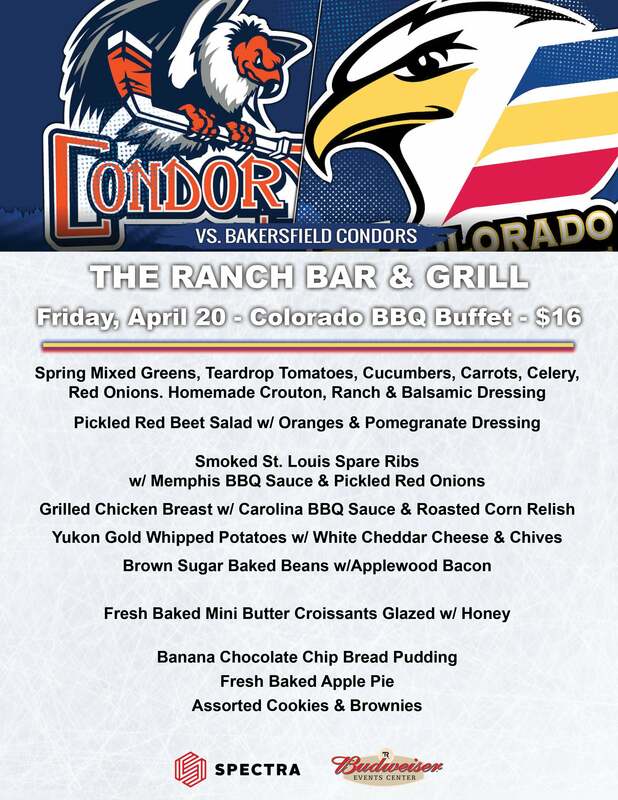 During the 2018-19 Colorado Eagles hockey season, we will be offering a buffet in The Ranch Bar & Grill along with a limited menu. The limited menu will remain the same throughout the season; however, we will be offering different buffet options during each game. Explore our different buffet options below.